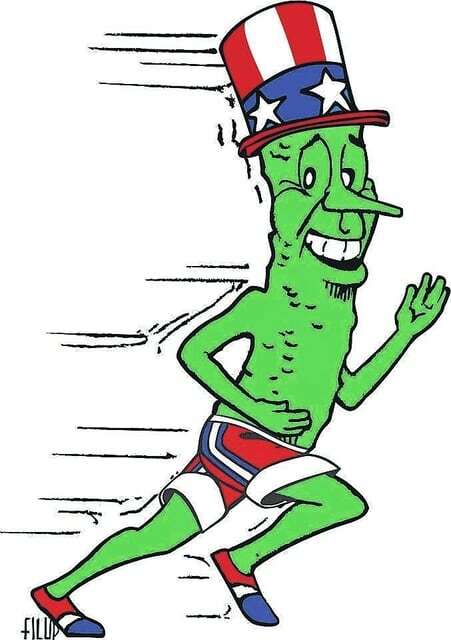 The Pickle Run Festival is making its comeback today. The event, a local tradition, will have its revival for the first time in about 15 years after first being held in 1978 as a Galion Booster Club fundraiser. It wil be held today and tomorrow at Heise Park. Attendees are encouraged to use the #PickleRun hashtag when posting pictures to Facebook and Twitter from the event. Here is the schedule for this weekend’s events. 5K Run/Walk and Kids’ Fun Run – 8:30 a.m.
Punt, Pass and Kick – noon-2 p.m. Anything Goes – 4-6 p.m. Teen Night at Heise Pool – 7-9 p.m.
Movie in the Park – 9:30-11:30 p.m.
Disc Golf Tournament at Amick Reservoir – 8 a.m. – 4 p.m.
Classic Car/Motorcycle Show – 9 a.m. – 4 p.m.
Church Service – 11 a.m.
Volleyball Tournament – 1 p.m.
Music in the Park – 2-9 p.m. Parade and Kids’ Bike Parade – 2 p.m.
Community Sponsored Events and Games, Free Throw Contest and Children’s Relay Races – 4-8 p.m.
Galion Graders Baseball Game – 7:05 p.m.
Fireworks Show – 9:45 p.m.
All events will be held in Heise Park unless otherwise noted.